80% of retailers are expanding mobile hardware and apps in 2014, but here's what they're missing! Choosing devices and apps is only part of the mobile equation for retail point-of-sale (POS) and other profit enablers like kiosks and inventory management. 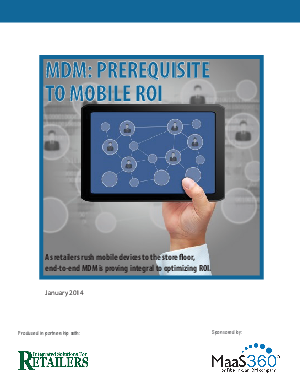 To get the most ROI out of your mobile strategy, you will need to plan for deployment, security and management of your devices and data in tandem with procurement of line-busting smartphones and tablets. Maximize ROI and minimize risk! Get informed before you get the devices in stores.